How much will Lebron’s taxes be under the new plan? 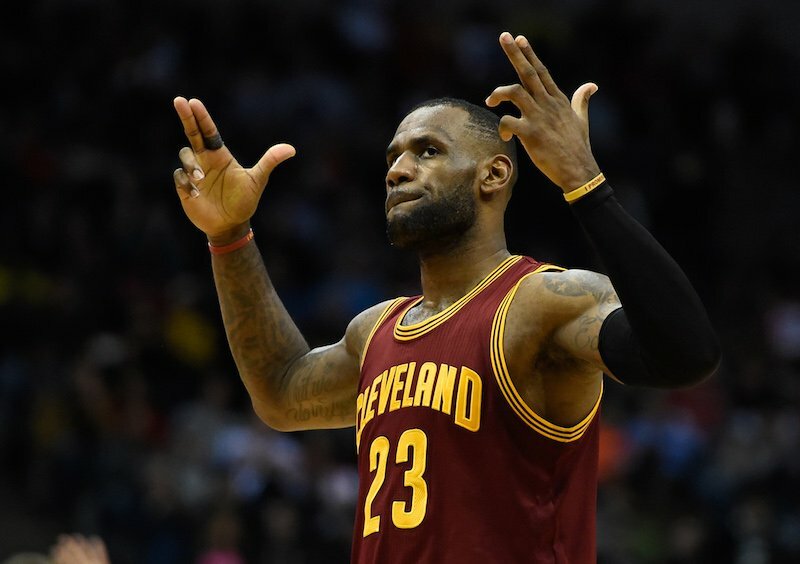 Lebron James is considered by many to be the best basketball player in the world. Not only is he is a 3-time NBA champion, but he single-handedly put an entire city on the map (no offense Cleveland). Not surprising then that he’s worth an estimated $400 million and is expected to make at least $30 million in 2017 from his NBA salary alone. So with the new Republican tax plan being passed and taking effect January 1 of 2018, we thought it would be fun (we are pretty lame I know) to try and figure out whether Lebron’s federal taxes will increase or decrease in 2019. Any guesses? Let’s start off with a few assumptions. To make it easy, let’s just look at his modest $30 million NBA salary and not the additional $50+ million he makes each year in endorsements. Additionally, let’s also assume he files jointly with his wife and only pays state taxes in Ohio (which we know isn’t true because of the jock taxes that high-earning athletes pay). Lastly, since it’s impossible for me to accurately know how much he deducts from his gross income, let’s also assume he can deduct all of his state, local, and property taxes but with everything else at zero. First, let’s look at his taxes under the current tax law. With current tax laws, Lebron may deduct $1.767 million from his federal tax bill i.e. $1.6million in Ohio state & local taxes and $167k in property taxes from his $9.5 million home in Akron. 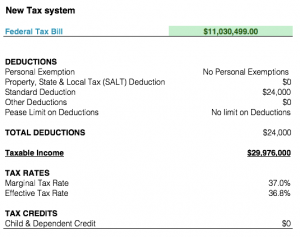 He loses some of that deduction to the Pease limit leaving him with a little over $875k to deduct. After applying his taxable income to the current tax rates, he’s left with a federal tax bill of $11.4 million. Or 39 cents for every dollar he earns. With the new tax plan, Lebron can only deduct up to $10,000 of his state, local and property taxes from his Federal tax bill. Assuming he didn’t have any other deductions (which is very very unlikely), he would be better off taking the standard deduction which increased under the new plan from $6,500 up to $12,000 for single filers, and from $13,000 to $24,000 for married joint filers. Applying his taxable income to the new lower tax rates would leave him with a federal tax bill of approximately $11.03 million. Or 37 cents of every dollar he earns. 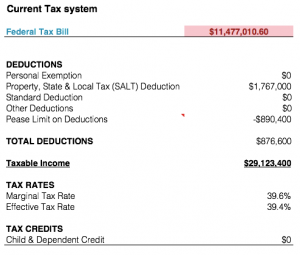 So even though Lebron is unable to deduct his entire state, local, & property taxes with the new plan, the new lower tax brackets allow him to save approximately $446,000 in federal taxes. That’s enough money to buy 25 or 600 bitcoins, depending on what day it is. Either way, it’s a heck of a lot of money to save every year. 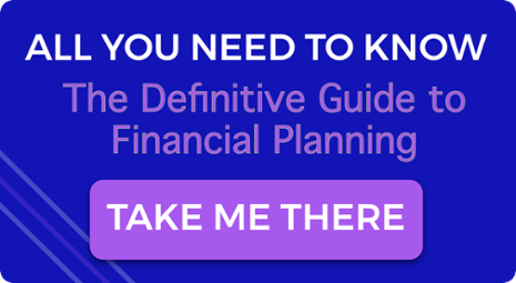 For a more detailed explanation of how the new tax laws work, check out The New Tax Laws Explained in our Resource Center. To see how the changes affect your taxes, click here to download our free calculator. If you enjoyed this post, check out Tax Lessons From Tom Brady.